About a year ago, historian, religious studies scholar and public intellectual Anthea Butler wrote a powerful essay for Religion Dispatches titled “The Zimmerman Acquittal: America’s Racist God.” If you have the time, it’s worth another read. She ended up the target of a series of online attacks from people angry at the post. 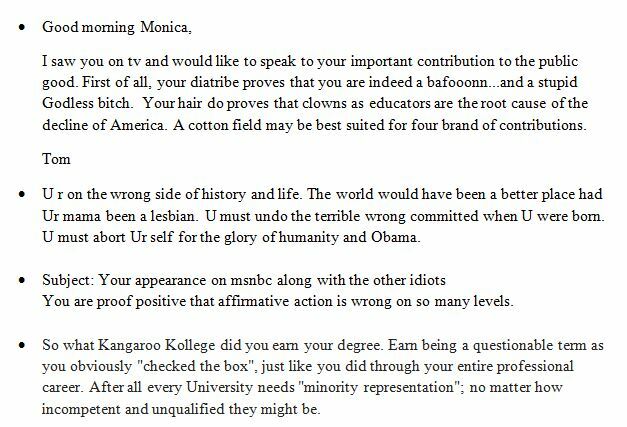 Dr. Butler cataloged the hate mail here. The Other is then seen as polluting the integrity of the community, the race, the nation, the caste or the faith. This threat is felt in the arcana of sexuality as well as in those of death. The futile quest for pure identity is always pursued in specific, complex social contexts. But it can be reduced to a tragically simplifying equation that shows the superiority and integrity of the Self through the physical degradation and symbolic destruction of the Other. This is, in particular, the meaning of the modern form of torture that no longer seeks to obtain information or confessions, but to create the Enemy, to purify the social body of its soiled elements, to deconstruct the humanity of the subversive (Bayart, 160). It is at these extreme limits of identity politics that we can better understand how actors situate themselves in an imaginaire that is ‘a factor of social life that has gained autonomy’ (Bayart, 160). The third and fourth examples, with their explicit and not so subtle suggestion about affirmative action, amount to a “simplifying equation” wherein the only possible rationale behind the presence of a “subversive” “Other” on television, or at my institution must be the result of some sort of hand out. Not getting into the actual topic of affirmative action, their “futile quest for pure identity” finds them making all sorts of assumptions about another person—classically demonstrating the constitution of the Other as a means of constituting one’s own sense of identity. Such “operational acts” belie a fear on the part of this data that something about what they’ve known, come to expect, or hope for is no more. Ironically, the very “operational acts” that foreground the strategic constitution of such sensibilities also demonstrate that the imaginaire sought is rather easily found as the projection of such acts reinforce their purported autonomy as “factors of social life.” On this final point, my email inbox is proof positive that understanding these “extreme limits of identity politics” as “extreme” or “limits” does not preclude their effectiveness at Othering. But who, exactly, is othered when the “subversive” is on Television, and those threatened have only Twitter and email at their easy disposal? 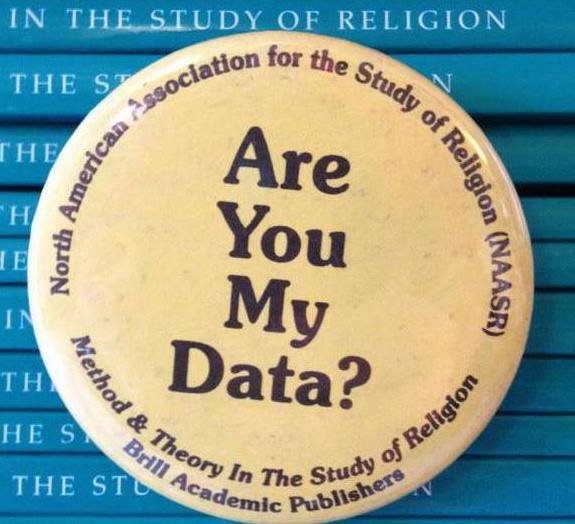 In asking “Are You My Data?,” the tables begin to turn. Those othered by a particular arrangement, constitute their data as distinct from themselves, recasting Otherness in the other direction. 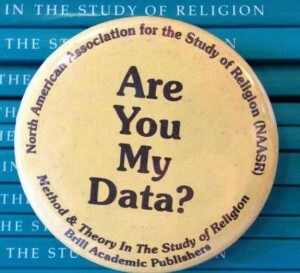 What results is these newly othered, though hardly subversive, priests of normativity who expose themselves as data. They answer “yes” without realizing it; the trouble of the human sciences appear much less epistemologically troublesome as they telegraph their operational acts of identification in the moments of their attempted political troublemaking. Previous PostPrevious Your Turn: Are they “illegals” or “post-fetal persons”? Next PostNext Whose (and Who) Rules?